Welcome to another day of Six Sentence Sunday. 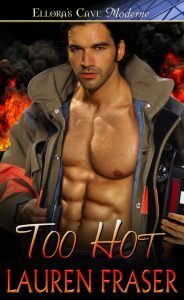 This weeks six is from Too Hot. Her gaze landed on the patch of skin peeking through his jacket. Okay maybe she couldn’t be professional but she could fake it. Umm, naked in my bed. Heat rushed across her cheeks at the errant thought. So much for being professional. To read more great six sentence Sunday posts click here. But i’m glad I did because MROWL! that sounds hot!! I stumbled around too. Didn’t know this was out yet. Great snippet. Now I’ll have to see if she ever gets him “naked in my bed”.